The word pergola is derived from the Latin word “pergula” which refers to a “projecting eave”, commonly found as an extended roof or arbor. 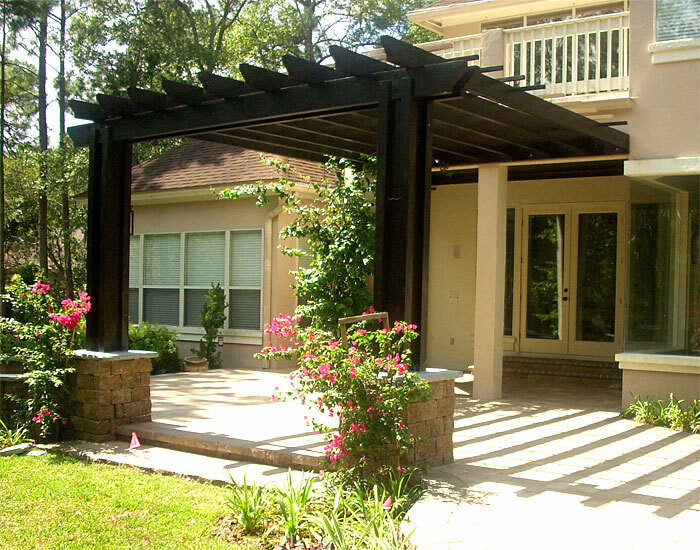 It's a really FUN word to say and a really nice addition to your Atlanta patio: A Pergola! 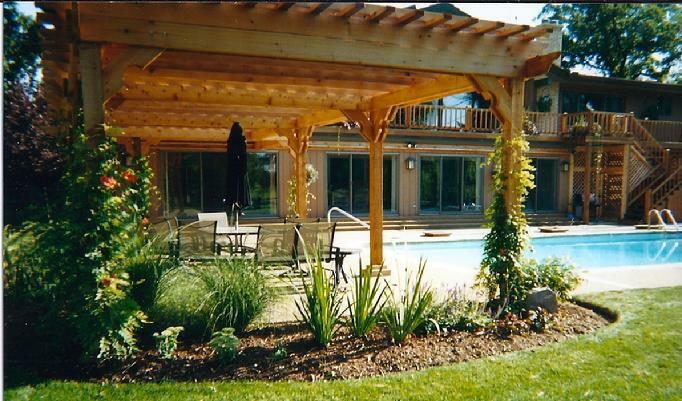 According to gazebocreations.com, Pergolas have stood the test of time. Although their styles, materials, and name may have changed, their purpose has remained the same for over 3000 years. The earliest known surviving garden plan, dating back to about 1400 BC belonged to an Egyptian high court official of Thebes; details a pergola over the entry way into the garden. What inspired the creation of pergolas is debatable, perhaps it was purely for their aesthetic beauty, or maybe motivated by the weather. The truth is that they are able to provide both functions wonderfully, and thus have become a timeless entity. Pergolas have served many purposes throughout time. Pergolas have served as beautiful hanging gardens for the rich elite. Pergolas have also served as a functional means for certain species of harvestable vegetation to grow for the common worker, and even provided a means for vining plants to climb for the backyard enthusiast. They have been elegant shade structures, protecting all types of people from the harshness of the sun’s rays, or fury of an April storm. Pergolas have come a long way since their creation, and are no longer reserved for just the rich elite. Have a look at some examples of pergola perfection. What would be the best fit for your Atlanta landscape?